Norwich moved to within two points of the Sky Bet Championship play-off places after beating Birmingham 2-0 at Carrow Road. First-half goals from Cameron Jerome and Timm Klose helped the Canaries claim their fifth home win in six league games. 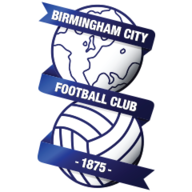 Birmingham dominated possession for long periods and had their chances, especially in the first half, but the fact remains that they are now without a win in nine games under new boss Gianfranco Zola. There were opportunities at both ends in a bright opening, with Lukas Jutkiewicz testing John Ruddy with a snap-shot and Jerome firing straight at Tomasz Kuszczak from a better position. The Blues were then desperately unlucky when Jutkiewicz's header from a left-wing cross came back off the bar - and 40 seconds later they found themselves behind. A swift counter-attack saw Jerome burst through down the inside-left channel and he moved calmly into the box before sliding the ball past the exposed goalkeeper. Norwich had another let-off midway through the opening period when Craig Gardner sent a free header over the top when perfectly placed. 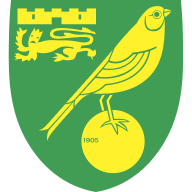 But the Canaries should have made it 2-0 in the 27th minute when Steven Naismith latched onto to Wes Hoolahan's cutback, only to miss the target from just outside the six-yard box. Kuszczak then made a smart close-range stop to deny Jonny Howson but the hosts only had to wait a couple of minutes for their second. Poor defending from an inswinging Robbie Brady free-kick allowed Klose a free header at the near post and in a flash the ball was in the back of the net. Birmingham started the second half on the front foot but their neat approach play tended to fizzle out when they got near the Norwich box and a wayward effort from Gardner was all they had to show for their pressure. Norwich might have stretched their lead on the hour mark when it took a smart save from Kuszczak to deny Jacob Murphy after the young winger was set up by Naismith, but were looking more comfortable as the half progressed. Naismith was guilty of another terrible miss when he headed a Brady cross straight at Kuszczak when completely in the clear but it did not matter as the hosts saw out the game, with Jerome missing a sitter on the breakaway near the end. "For some time now I have had the feeling that we are now moving forward again after a difficult spell," he said. "The players are performing better, I have been happier with what I have been seeing and this was a continuation of that. "It was a good steady performance from the lads. We did the ugly side of the game well and when we do that we have the quality to cause problems at the other end. "We knew the way Birmingham would play and we made the decision to get in their faces and try and get the ball back off them, not just sit back and let them have possession, which I don't like to see when we are at home." "The players are doing what I tell them to do - sometimes they make mistakes, but then I make mistakes, everyone makes mistakes. I am confident they can come out of this difficult moment. I am 100 per cent sure about that. "I knew it would be difficult for me as manager when I came in because I was brought in when things were going well. But I am confident in the work I do and the players are committed to the work we are doing. We have two home games coming up and this work will pay off, I am sure of that."